Synopsis: WINNER of the silver 2015 Moonbeam Childrens Book Award for Activity Books and The 2015 Independent Publishing Book Award (IPPY) for Children' s Interactive Books. Are you ready to design a swimming pool, create your own creature, or write a story about a pirate? 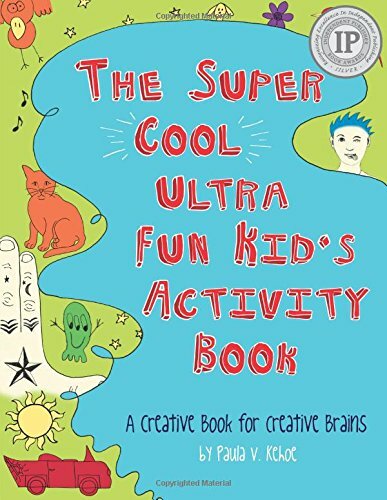 Then, The Super Cool Ultra Fun Kids Activity Book is for you. It is packed with over 75 pages of creative activities that will ignite your imagination. It's a keepsake book to show your family and friends.